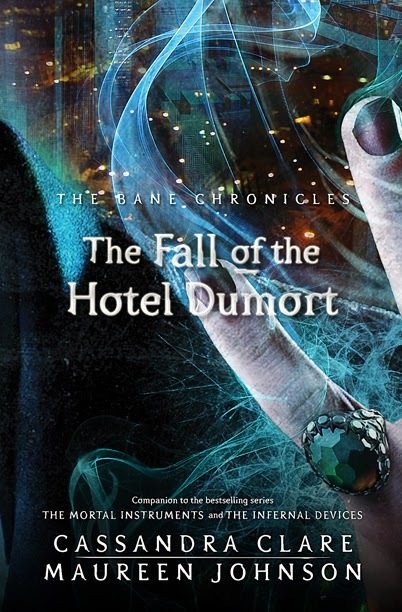 The Fall of Hotel Dumort will be available in ebook format on Oct. 15. What do you think of the rune on the cover? Looks pretty mysterious right? A Manhattan teen—Raphael Santiago—is missing, and Magnus Bane must track him down before it’s too late. One of ten adventures in The Bane Chronicles.In 1950s New York City, a distraught mother hires Magnus Bane to find her missing son, Raphael. But even if he can be found, is Raphael beyond saving? This standalone e-only short story illuminates the life of the enigmatic Magnus Bane, whose alluring personality populates the pages of the #1 New York Times bestselling series The Mortal Instruments and The Infernal Devices. 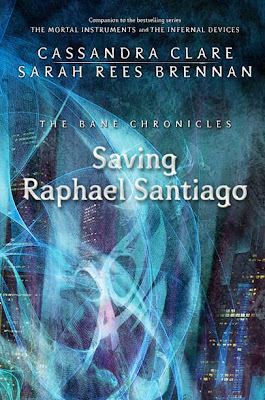 This story in The Bane Chronicles, Saving Raphael Santiago, is written by Cassandra Clare and Sarah Rees Brennan. I'm so excited to announce I will be narrating Cassandra Clare (The Mortal Instruments) new audio book of The Bane Chronicles tomorrow! Entertainment Weekly has revealed the fifth installment of The Bane Chronicles. 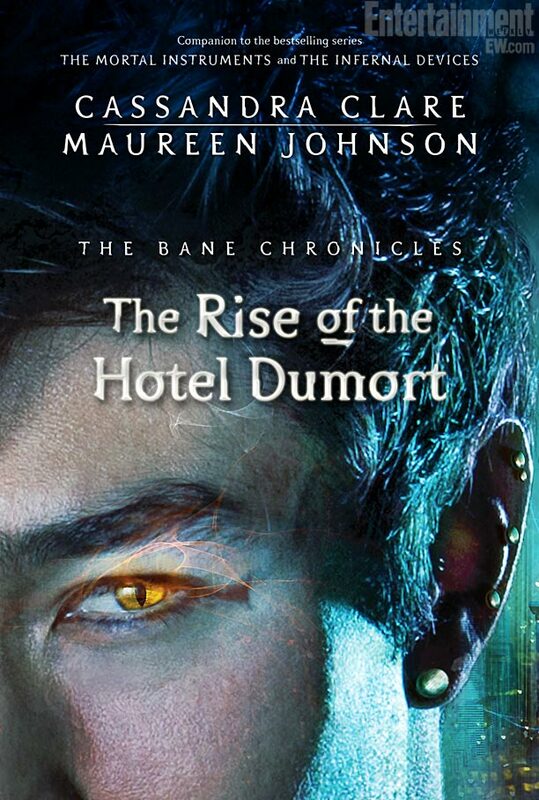 You can pre-order The Rise of Hotel Dumort on Amazon.com and Amazon.ca . It will be released as an ebook on August 20. 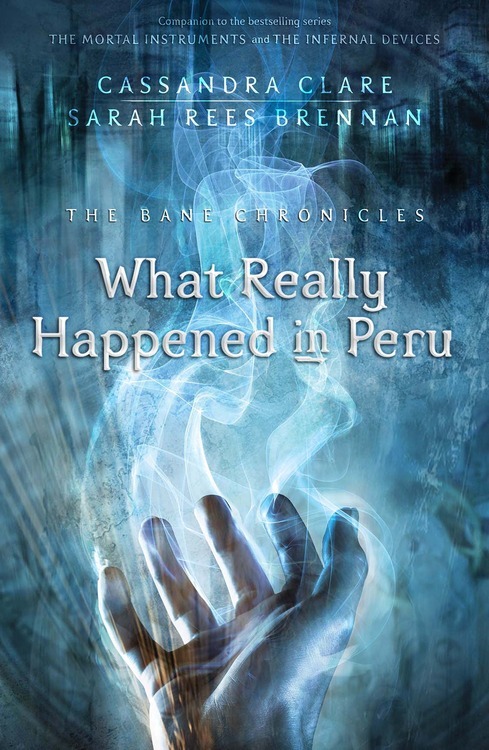 Pulse It is giving Magnus Bane fans a chance to read the first ebook from The Bane Chronicles (What Really Happened in Peru) for free. Sign up to become a PulseIt member and read the book on their site, it's as easy as that! This standalone e-only short story illuminates the life of the enigmatic Magnus Bane, whose alluring personality populates the pages of the #1 New York Times bestselling series The Mortal Instruments and The Infernal Devices. This story in The Bane Chronicles, What Really Happened in Peru, is written by Cassandra Clare and Sarah Rees Brennan. 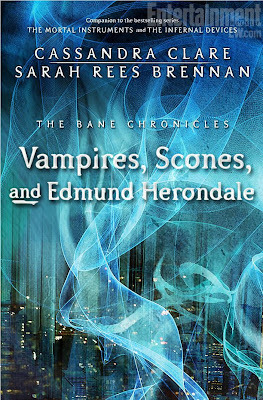 With only 1 week until the third book to The Bane Chronicles, Entertainment Weekly reveals the cover to Vampires, Scones, and Edmund Herondale. 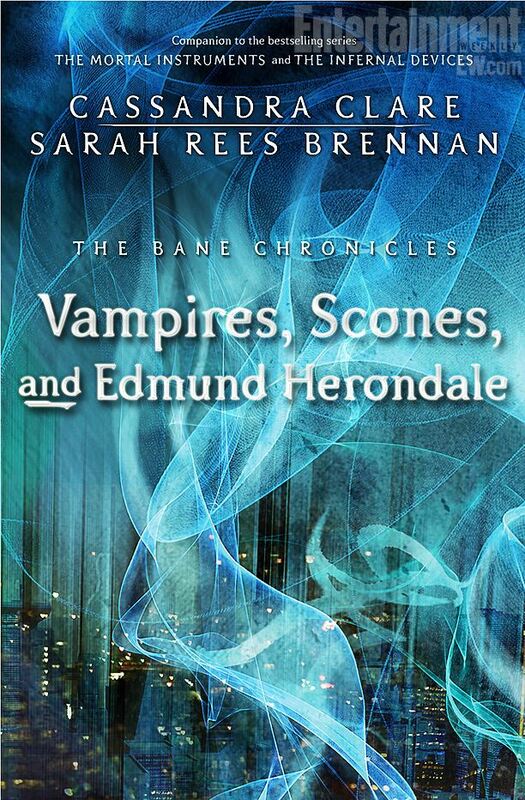 Vampire, Scones, and Edmund Herondale will be available for purchase Tues. June, 18. 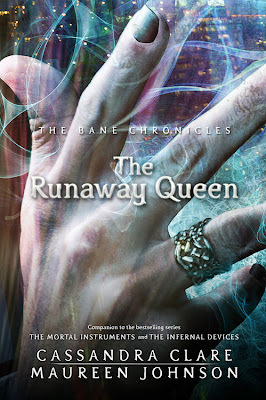 Today, The Bane Chronicles: Runaway Queen was released in eBook format -which you can buy on Amazon.com . For the audio book, George Blagden from Les Miserables is narrating. "The recording process, quite honestly, has been terrifying in amongst being incredibly rewarding. It's kind of amazing that an author gets to let you take their work and give voice to these characters that they've created. You have a feeling of immense responsibility and you don't want to get it wrong." With only 5 days until the release, of the second installment of The Bane Chronicles, check out the new and official cover for The Runaway Queen. 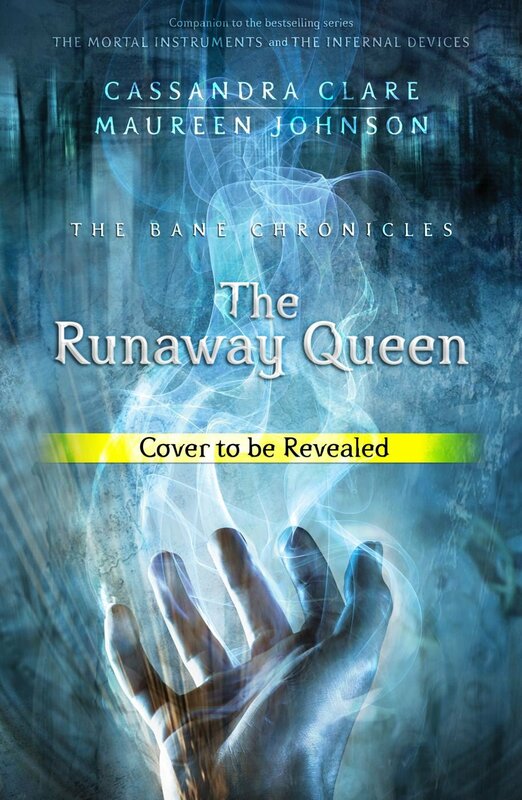 The Runaway Queen will be available on May 21. Go pre-order your copy on Amazon.com ($4.64 USD) or Amazon.ca ($3.99). George Blagden from Les Miserables is the narrator for The Bane Chronicles: Runaway Queen. Today, he shared that he just finished recording. Spent the afternoon with a guy called Magnus Bane. Heard of him? Runaway Queen will be available on May 21. Buy The Runaway Queen on Amazon.com. George Blagden -who you might recognize from Les Misérables as Grantaire- will be narrating the next Bane Chronicles installment. What's got us so hot, bothered and ready to get busy with a bayonet? It's the news that actor George Blagden, who played student revolutionary Grantaire in "Les Miserables" last year, will be reading "The Runaway Queen" directly into our quivering little ears as the series' latest narrator. 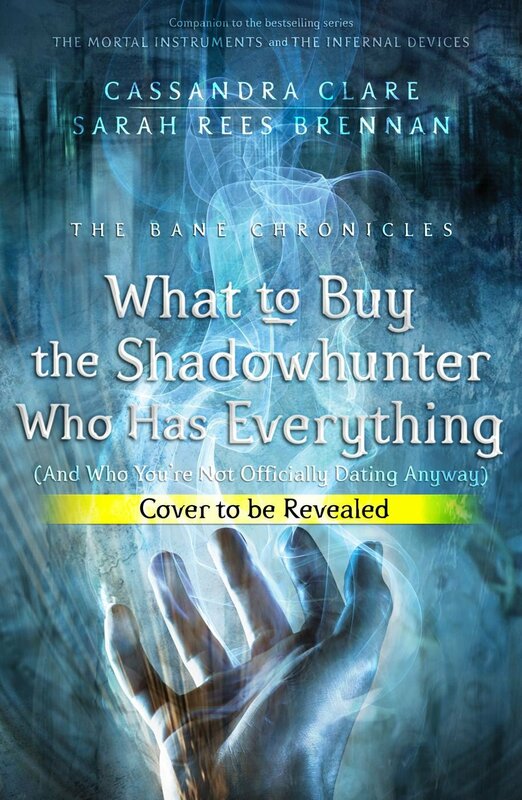 So instead of having The Rise of Hotel Dumort (The Bane Chronicles Part #4) and then The Fall of Hotel Dumort (The Bane Chronicles Part #5). They have combined the two. 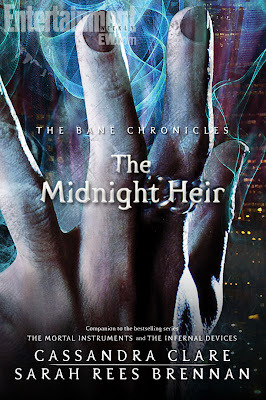 We have a new official cover for the first installment of The Bane Chronicles and now, EW also has an interview with the fabulous authors of The Bane Chronicles, Cassandra Clare, Maureen Johnson, and Sarah Rees Brennan! ENTERTAINMENT WEEKLY: First thing’s first: How did you come up with the idea for The Bane Chronicles? MAUREEN JOHNSON: We always have jokes about each other’s books, and I have my designs on several of Cassie’s characters. It started over a long series of jokes like about what we would do. SARAH REES BRENNAN: I came in a little later. Maureen and Cassie were chatting about several different adventures that characters could have had. Then we were all in France together when we started telling Magnus stories to each other. CASSANDRA CLARE: We’d all rented this house [in France], and it had one really big fancy room that we couldn’t possibly use. We were sort of gingerly sitting in there, and then we started making jokes about Magnus and what he would think of the room. Maureen had one about Magnus during the French Revolution. Sarah had her theories about why Magnus was really banned from Peru, and it sort of expanded. I said, “It’s really a shame that we couldn’t write these as a series of ongoing stories, because it’s not really a novel format. It’s more of a series of interconnected short stories.” That was when we first started talking about it seriously.Why did you decide on 10 installments? CLARE: We had the realization that the best home for a project like this was probably the Internet because it allows for extremely non-traditional publishing formats. Then we started to buckle down and talk about what the stories would be and how they would be written. Since there’s three of us and we’re writing each story — Maureen’s writing half, Sarah’s writing half, I’m writing half along — it seemed fair to split them five and five. 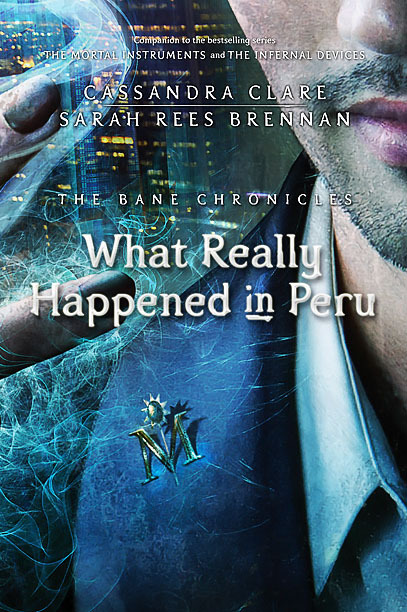 With only 5 more days to go, the cover for The Bane Chronicles: What Really Happened in Peru is revealed! Hollywoodcrush revealed that Jesse Williams (from Sister of the Traveling Pants 2) will be narrating the first installment of The Bane Chronicles for the audio book. 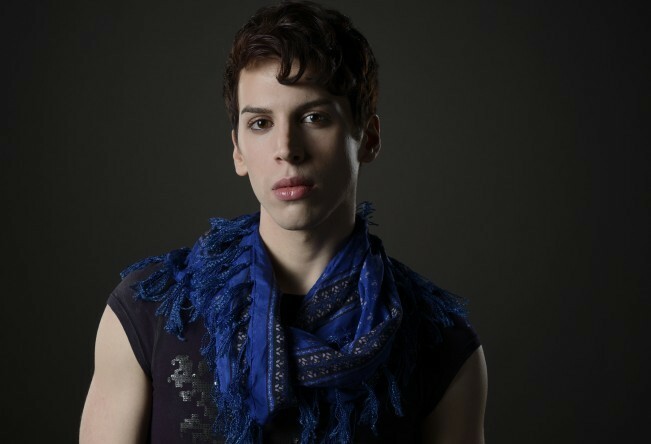 The first installment is written by Cassandra Clare and Sarah Rees Brennan. What Really Happened in Peru will be released on April 16th. For a list of all the installments, visit here. "Grey's Anatomy" actor Jesse Williams!